On July 13, 2013, the verdict in the Trayvon Martin case, declaring George Zimmerman “not guilty,” evokes images of this awful American legacy making me feel much the same way. So, as I sit here thinking about the verdict, I wish I could be shocked. Instead, what I have witnessed over and over again in our criminal justice system, told me that this was the outcome to expect. When the country repeatedly watched the video of Rodney King being senselessly, mercilessly beaten by four ruthless police officers who were neatly acquitted of all charges in Simi Valley, I knew. When I watched wealthy White classmates in academic institutions from prep school to law school who regularly got drunk and high on various drugs and who engaged in sometimes reckless activities with little or no consequences, while poor children in the inner city were locked up and made poster children for the media for the same behaviour or less, I knew. When I directed a juvenile justice project where we found case after case of Black youths being disproportionately sentenced for the same crimes for which their similarly situated White peers were acquitted, I knew. 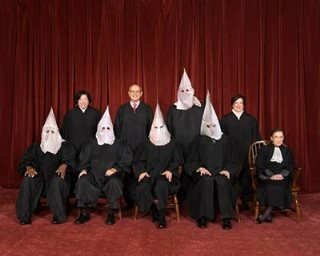 When the Supreme Court recently struck down key segments of the 1965 Voting Rights Act while upholding the rights of groups whose claims for equal treatment were grounded in the legislative and judicial victories borne of the Civil Rights struggle — brought about by and soaked in the blood of African Americans who fought, bled and died for those basic American rights — I knew. 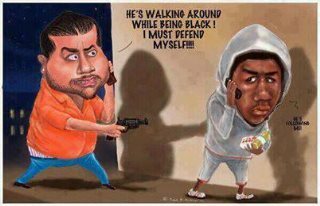 Racism in America is it really dead! So, when I saw a known killer receive a verdict of “not guilty” when his victim had only been a boy with beautiful Black skin who dared to wear a hoodie, much like the Justin Biebers of the world wear and are considered “cool” for doing so, I knew. Ideas and standards of justice in this country continue to be disproportionately influenced and determined by the race of the perpetrator and the victim. This is particularly interesting to note in the Trayvon Martin case, in which a jury of all White women plus one Hispanic woman decided the fate of the killer. How many of those jurors would have said, “not guilty” if George had killed their child in cold blood because George decided their son deserved to be shot with no trial, judge or jury? So, as I sit here, I am thinking about the question posed by the Rev Dr Martin Luther King Jr in his pivotal book, Where Do We Go from Here: Chaos or Community? I think about my law school adviser, Judge A. Leon Higginbotham, who spoke passionately about being one of a few Black students to enter Yale Law School in 1949 and how the Black custodian looked up and said, “I worked my whole life to see you get here.” And I look at what is happening to his legacy and that of Thurgood Marshall and their peers. And I think about the 13 years I have worked tirelessly as a mother to educate, love, cherish and raise my three amazing Black boys with my amazingly brilliant, caring, sensitive, loving husband, also a Black man who could still easily be mistaken as worthy of shooting because he looks suspicious to some stranger on the street. And I wonder, “Where Do We Go from Here? Yes, anger will rise for a moment. Despair may take hold for a day. But, what then? I don’t want just a temporary outcry, or more lip service by television pundits or political posturing. I want what every mother wants, what Trayvon Martin’s parents wanted — for my children to be safe. I want to not have to stay up at night wondering if they might fall prey to racial profiling or stereotyping that could hurt their hearts or, worse yet, take freedom or their very lives.